At an AASL ESSA information session during the 2016 ALA Annual Conference in Orlando, Kent Oliver, director of the Nashville Public Library, spoke to attendees about an extraordinary partnership between the Nashville Public Library and Metro Nashville Public Schools that benefits all students in his community. Kent credits Nashville former Mayor Karl Dean, an avid reader and library supporter, with the concept for Limitless Libraries, which aims to “improve the school libraries, foster resource sharing between the two institutions, and increase student access to learning materials” (Oliver). According to Kent, because “both the [public] library and the school system are county wide, the mayor was able to bring both parties to the discussion” (Oliver). In 2009, a pilot project started at three Nashville high schools and a 9th-grade academy and grew steadily until by the 2015-2016 school year, Limitless Libraries resources and services were available to students in grades 3-12 in all Nashville traditional public schools (Oliver). Funding for the program comes mainly from Nashville Public Library and Metro Nashville Public Schools budgets with additional financial backing from the Nashville Public Library Foundation, which also receives support from the Dollar General Literacy Foundation (Oliver). Allison Barney, the Limitless Libraries Coordinator, works to seamlessly keep resources flowing between Nashville Public Library and school libraries using a courier service. The resources include books, Playaways, DVDs, digital resources (such as animated picture books, language learning assistance, college entrance test prep tools), and authoritative databases for research. Student users may download music, e-books, audio books, and streaming media to their devices (Limitless Libraries, Younger Learners). Students have access to Nooks, laptops, and iPad minis to use in their libraries, and high school students are able to check out laptops and take them home (Ham). Are students taking advantage of the opportunity to borrow learning and personal recreational resources? Yes! In 2015-2016, 130,981 items were delivered to schools, with an additional 72, 315 items checked out by Limitless Libraries’ account holders at branch libraries (Barney, Behind the Scenes). Who is served by the program? 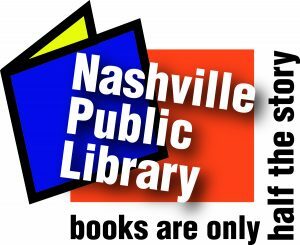 Stephanie Ham, Director of Library Services for Metro Nashville Public School (MNPS), reports that Limitless Libraries signs up all students in grades 3-12 for a Nashville Public Library card unless, in rare cases, a parent opts out (Ham). Out of MNPS’s over 88,000 students (MNPS, About), it is estimated that approximately 60 percent are eligible to receive free and reduced lunch (Kids Count Data Center). Limitless Libraries provides the essential resources and services students from low income homes need. The 2013 “Limitless Libraries Full Report” revealed that books, physical resources such as DVDs, music CDs, and Playaways, and electronic resources of all types were more likely to be borrowed and used by students eligible for free/reduced-cost meals than other students (Lance, 3). What does Limitless Libraries mean to at-risk students in a school? Diane Chen is one of two librarians at Stratford STEM Magnet School serving students in grades 5-12. She reports, “We have over 1,100 students with a high at-risk population. Many of my students live in an area that is experiencing gentrification and are being relocated. The HERO program helps our homeless students get to school without further disruptions. We provide services for English Language Learners. My students are learning resiliency as they work to overcome many economic and family obstacles” (Chen). “Limitless Libraries has broken down digital barriers with opportunities for students to access e-books, audio books, Hoopla [a streaming service], and Freegal [free music downloads]. As part of the library instruction, I am able to teach students how to use their personal devices to take the library with them. Many students in high school are taking advantage of the laptops they can check out each day. Recently two girls came in to check out the laptops for the weekend so they could prepare for job interviews and still get their homework done. Both shared they were helping contribute to the household income while saving for college and taking care of their younger siblings. Another student recounted how the digital resources helped her entertain her younger siblings” (Chen). “Being able to request materials in other languages helps our students who have recently moved to the area and are learning English while studying advanced science. Limitless Libraries digital resources and databases enable students to advance at individual rates, seek out a broader range of materials, and even to access materials at lower reading levels to help them get the information they need at a level they can comprehend” (Chen). Does Limitless Libraries have other partners to support at-risk students? Limitless Libraries also works collaboratively with other programs such as the Nashville After Zone Alliance (NAZA), Anytime Access for All, and ConnectHome to provide additional support to economically disadvantaged students. NAZA is an after school program at 46 sites serving 26 Nashville middle schools; and Rachel Roseberry, NAZA’s literacy coordinator, describes it this way: “NAZA programs operate 4 days a week for 2 hours each day for 28 weeks during the school year. Students engage in team-building activities, academic (homework) time, enhancement (enrichment) time, and reflection. Enhancements are many times provided by community partners – including the Adventure Science Center, Studio NPL, the Nashville Ballet, the Nashville Symphony, local teaching artists, and many more. All NAZA programs are free to participating students, and all students receive an afterschool snack or meal. Transportation is provided at the majority of our sites” (Barney/Roseberry). 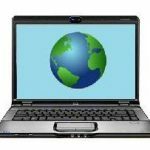 It is estimated that 44 percent of MNPS students do not have Internet access or computers at home, and this digital divide creates a barrier to student achievement (Anytime Access for All Blog). To begin to alleviate this problem, “Anytime Access for All,” a community initiative began a pilot program that provided eligible students at Hunter’s Lane High School with a refurbished laptop for a nominal cost, Internet access, and digital literacy training; and the project was very successful (Ham). To further mitigate lack of Internet access and personal technology for students living in public housing properties, Nashville is one of 28 communities participating in ConnectHome, a federal private/public partnership from the Department of Housing and Urban Development (HUD) designed to bring high-speed Internet to residents in selected public housing sites. Beginning in April 2016, a pilot project at Cayce Place provided families with school-age children with digital literacy training after which the families received a rebuilt laptop and free Internet service for one year. Another site was added in August 2016, and more will follow (Metropolitan Development and Housing Agency). Through a patchwork of support, many facets of the Limitless Libraries dream of former Mayor Karl Dean have become a reality, and all of Nashville’s students, including its at-risk students are the beneficiaries. Limitless Libraries and associated programs are making a huge difference in their lives now and will continue to do so in the future. Anytime Access for All Blog. 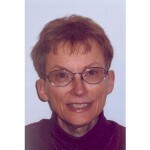 January 29, 2016. http://anytimeaccessforall.org/connect/blog/ (accessed October 16, 2016). Barney, Allison, email to author September 22, 2016. Barney, Allison. “Limitless Libraries: Behind the Scenes.” Updated August 31, 2016. Chen, Diane, email to author October 6, 2016. ConnectHome Nashville-Local Projects Plan. December 23, 2015. http://www.nashville.gov/Portals/0/SiteContent/ITS/docs/Digital_Inclusion/ConnectHomeNashville_LocalProjectsPlan.pdf/ (accessed October 18, 2016). Ham, Stephanie, email to author September 26, 2016 and October 18, 2016. Kids Count Data Center. Free/Reduced- Price School Lunch Participation. http://datacenter.kidscount.org/data/tables/2979-free-reduced-price-school-lunch-participation?loc=44&loct=5#detailed/5/6420-6514/false/573/any/13216/ (accessed October 18, 2016). Lance, Keith Curry, et. al. 2013. Limitless Libraries Full Report: How Students Use and Benefit from Limitless Libraries. http://www.limitlesslibraries.org/wp-content/uploads/2014/12/Limitless-Libraries-Full-Report.pdf/ (accessed October 15, 2016). Limitless Libraries. “Younger Learners, Research Tools, & Downloads.” http://www.limitlesslibraries.org/ (accessed October 9, 2016). Metro Nashville Public Schools. “About Metro Nashville Public Schools.” http://www.mnps.org/about-mnps (accessed October 15, 2016). Oliver, Kent, email to author September 27, 2016. Licht, Mike, NotionsCapital.com. 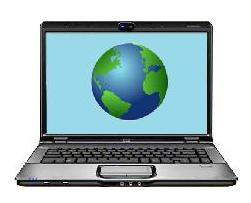 “Global Internet Access.” June 20, 2011. Used under a Creative Commons Attribution license. https://www.flickr.com/photos/notionscapital/5818602708/sizes/m/. 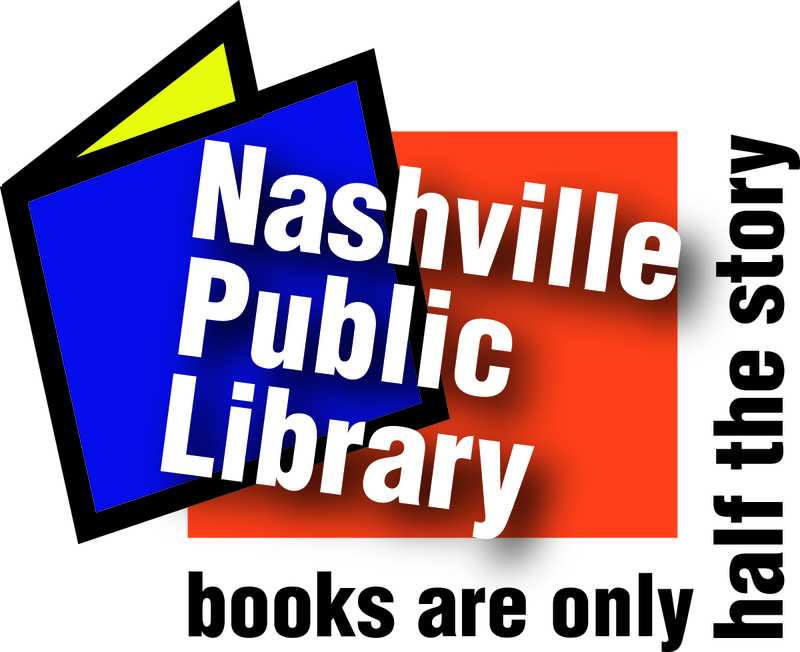 Limitless Libraries, Nashville Public Libraries, and Metro Nashville Public Schools logos are used with permission from Nashville Public Library and Metro Nashville Public Schools respectively.